8 April 2019. NEINVER, the leading outlet operator in Poland and Spain and a market leader in Europe, has welcomed 100,000 visitors to Silesia Outlet in Gliwice, Poland, during the first week since the opening of the centre on 27 March. The most popular day was Sunday with nearly 19,000 visitors. 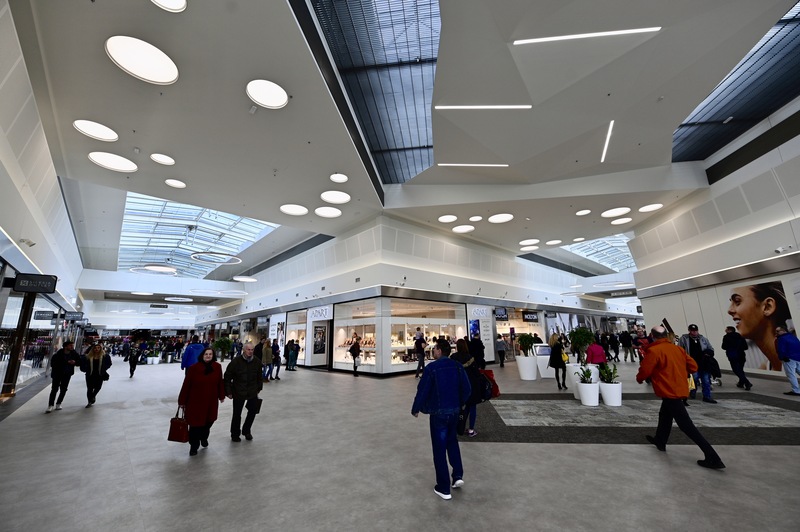 Silesia Outlet opened with 12,000 m² of commercial space and 60 shops featuring top domestic and international brands including Bugatti, Bytom, Guess, Diverse, Home&Cook, New Balance, Only, Pepe Jeans, Pierre Cardin, Puma, Triumph and Reebok, among others. Nearly 95% of the centre is already leased, with brands such as Adidas and Travel and food operators Daily Sandwich Café and Daily Pizza joining in the coming months. Located in the city of Gliwice in the Silesia region, the centre features a large catchment area of over 6.5 million residents. The scheme enjoys an excellent location in the immediate vicinity of the A4 motorway, which connects Cracow, the Silesian Agglomeration and Wroclaw - the largest economic centres of southern Poland.